A thick blanket of snow has covered New York today, a snow some media dramaqueens have called a “snowpocalypse”. I must admit I laugh every time I hear that term. While some folks were collectively crapping their pants due to snow, I instead decided to take a walk (after sleeping late of course, work was cancelled after all). 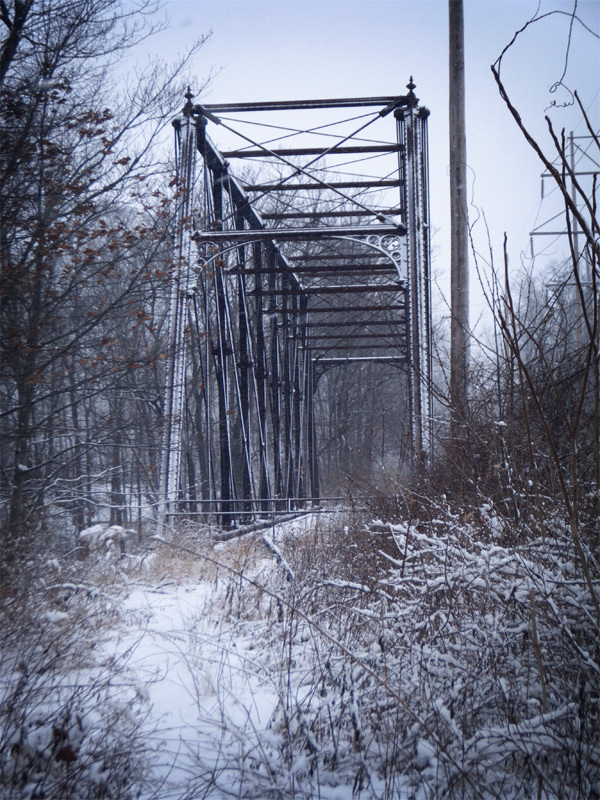 Not far from my house (and from Goldens Bridge station) is an old railroad bridge with a lonely numerical designation: L-158. With the area covered in snow, it looked even more lonely. 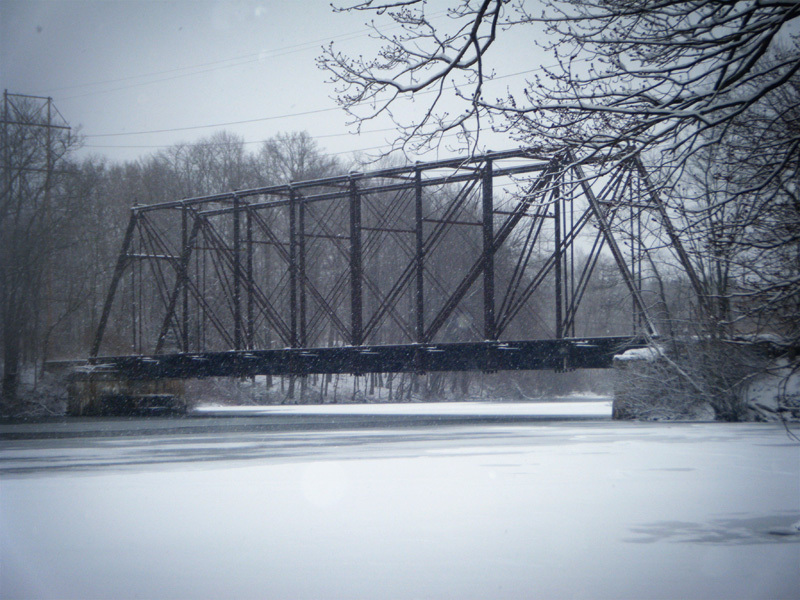 L-158 was once a railroad bridge, though the tracks are long gone. It was originally built in 1883 over Rondout Creek near Kingston, NY. In 1904 it was dismantled and reconstructed in Goldens Bridge to cover the expanding reservoir. 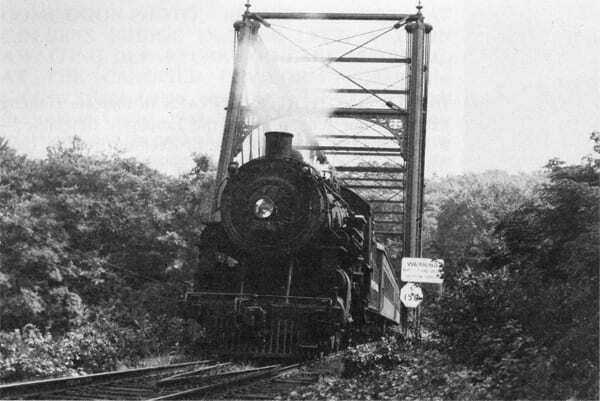 The tracks were part of the Lake Mahopac Branch, which opened in 1872, and went from Goldens Bridge to Lake Mahopac. The Lake Mahopac Branch ended service in 1959, and the tracks were removed soon after. In 1978 L-158 was listed on the National Register of Historic Places. 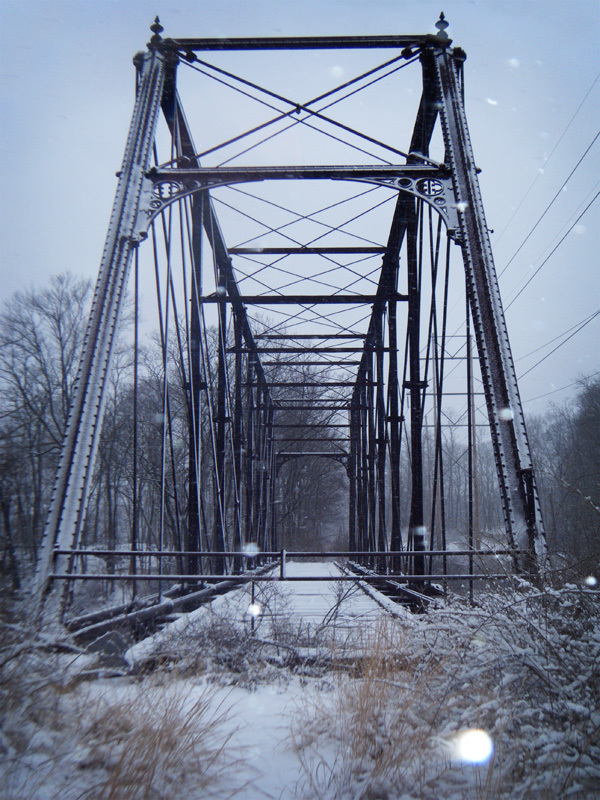 Ever since I moved to Goldens Bridge, I’ve always been fascinated by this bridge. It is situated on land owned by the DEP, and thus you must have a Watershed Access Pass in order to visit. I have a rowboat on the Muscoot Reservoir, and many summer days I went out on the water rowing underneath the bridge. And as witnessed by the photo gallery, took way too many pictures of the bridge. I’m really longing for the return of the spring and summer so I can go out and row again, and to see L-158 surrounded by greenery, as opposed to today’s snowfall. those are some great pictures Em! wow. seems like a really peaceful day. I keep hoping Westchester/Putnam counties will make the old Lake Mahopac branch a rail-trail like they did with the Putnam Division, which would include this historic old bridge. I’m not sure if that is possible… I know the area around the bridge is owned by the DEP, so in that area it is possible… but I seem to recall someone saying that some of the land further up is now owned by the Kennedy school, and they’ve been less than thrilled about railfans hanging about.